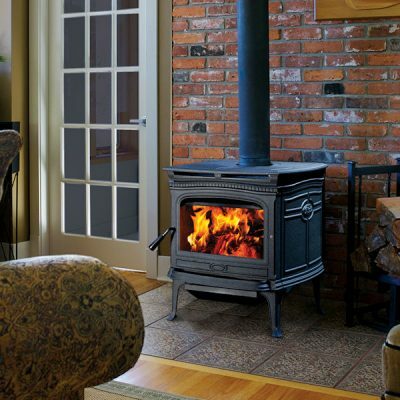 Cast Iron Wood Stoves; Beauty, form and function. 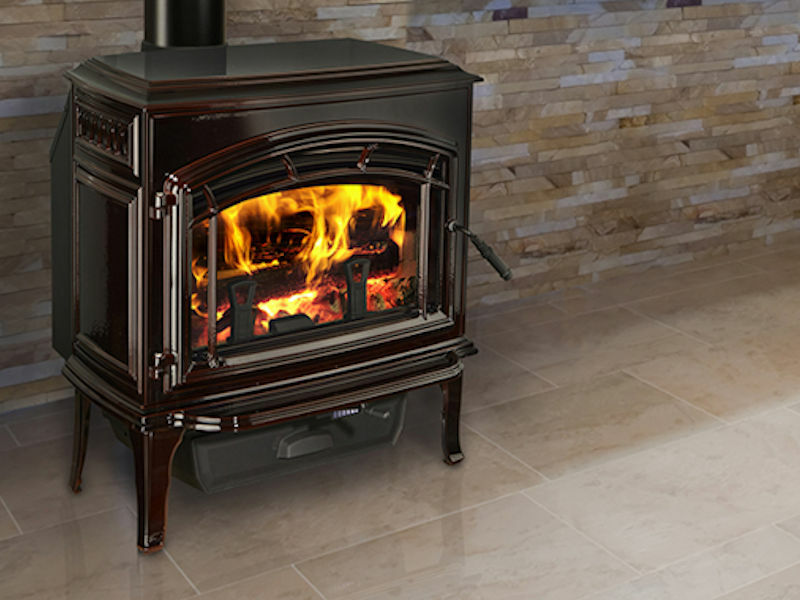 There are few nicer than to curling up in front of a cozy fire on a cold winter night in Ottawa. Cast Iron stoves, not only provide high efficiency heating performance, but are a beautiful centerpiece that fits most any room. 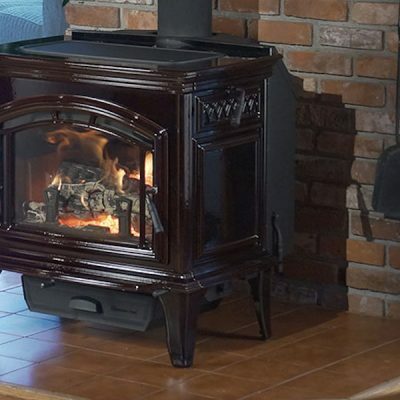 Long, clean burns, and automatic combustion control, mean that rather than loading logs, you just load it, light it, and just the fire through the clear glass door. 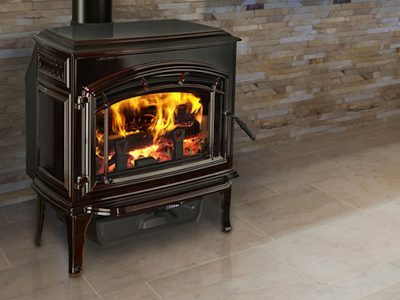 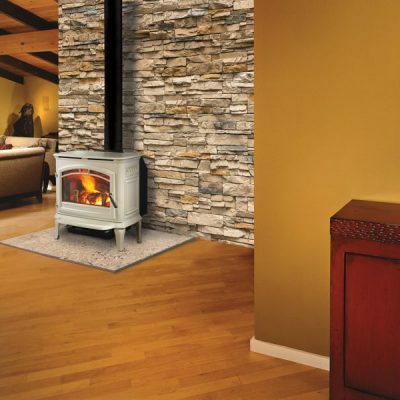 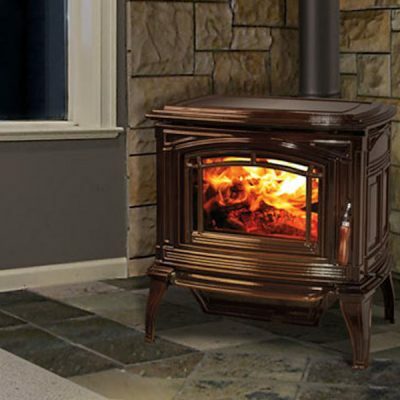 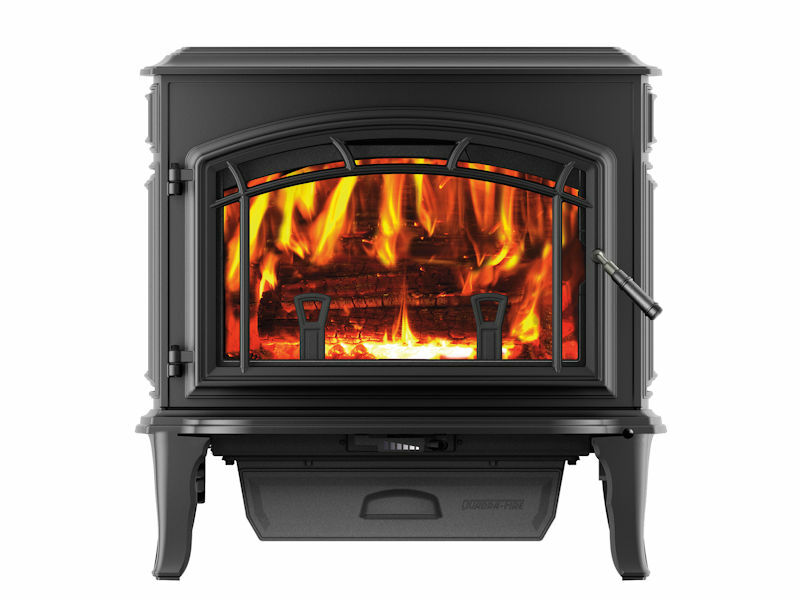 If you’re thinking about buying a wood stove in the Ottawa area, come see the Explorer II wood stove in one of our showrooms located in Ottawa or Carleton Place Ontario. 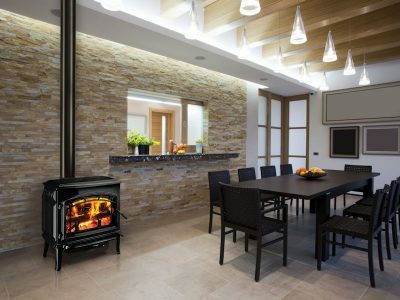 The Quadra-Fire Explorer II cast iron wood stove incorporates the latest technology including Quadra-Fire’s patented Four-Point Burn System, Automatic Combustion Control (ACC), all resulting in unmatched performance and incredibly high efficiency!